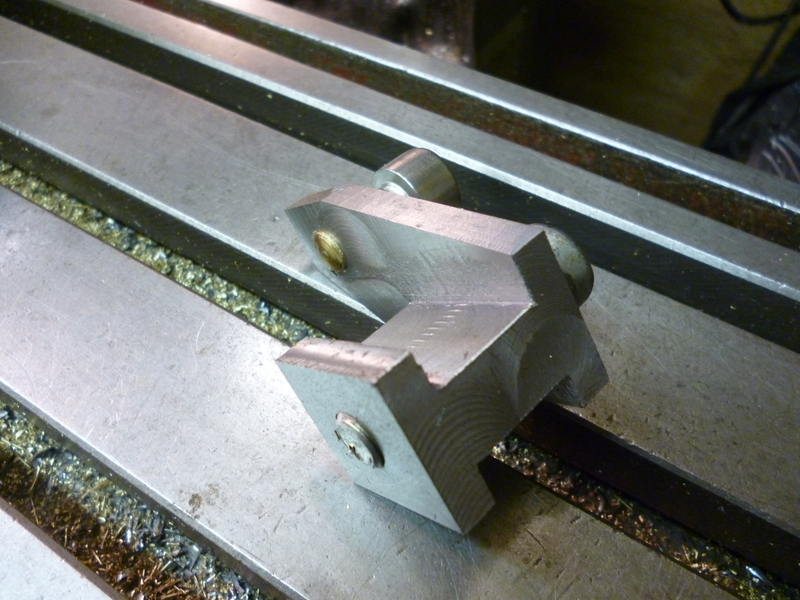 When aligning a workpiece or workholding device on the milling table, this can often involve using a square that is held against the back of the milling table. In this case, there are three movable bits, the chuck, the angle plate and the square which is right at the bottom of the photo. 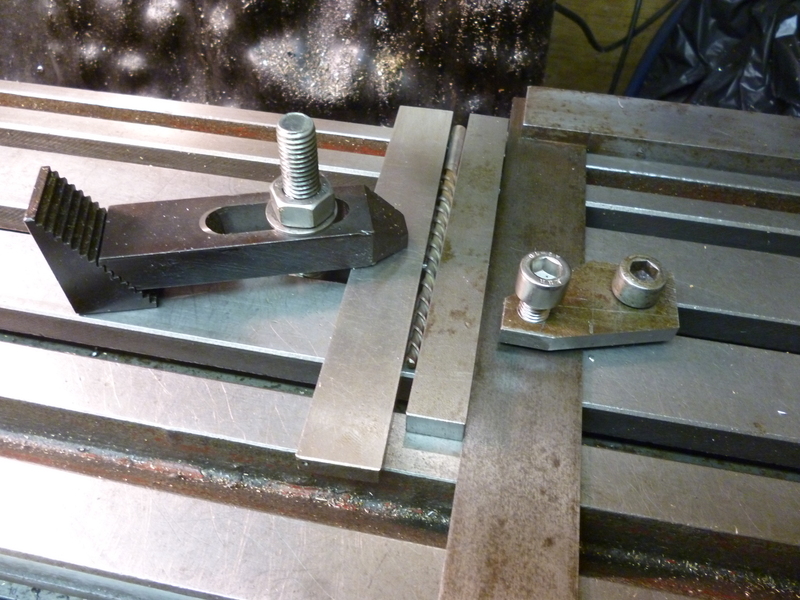 One way of making this easier is to make a clamp that holds the square in position. A clamp was made that uses the T-slots to hold the clamp. The clamp then has a cap screw that holds the square against the table. 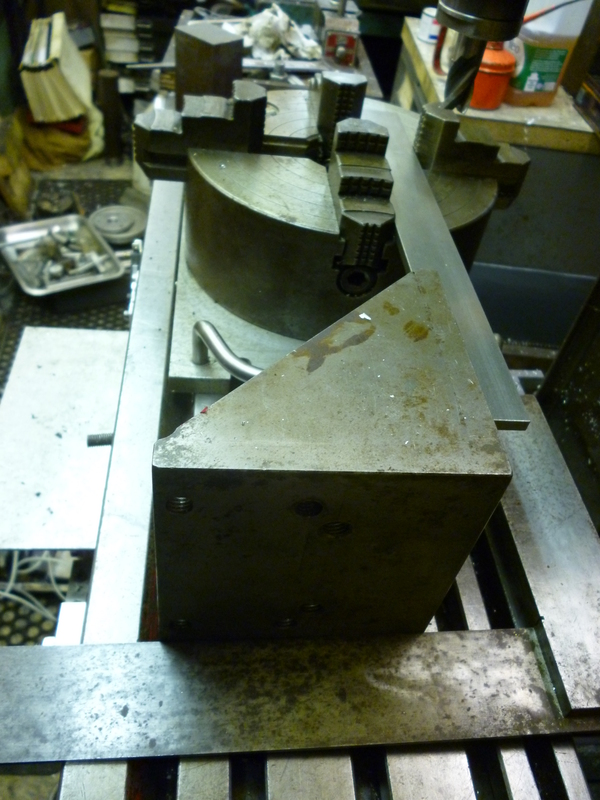 In order not to bend the square, the pressure applied to it is where it is over the milling table, not over the t-slot. Secondly the cap screw is fitted with a bronze plug.